Born and raised in Bogota, Colombia. Moved to Texas in 1997, and have been in the Real Estate industry since 2007.
passionate and honest about my job and I love the opportunity in helping others accomplish one of their biggest investments in life. oversee the inspections, handle all necessary paperwork and supervise the closing. I can take care of everything you need, from start to close. Oftentimes buyers don't visualize living in your home the way you do. I can make your home attractive to its ideal audience - which can help you get top dollar. market and one that's sold fast. "01/19/2019 - zuser20140608081922445 Jaime and his team are very respectful and professional realtor. I have been contracting his services since 2011 with no regret either to sell and buy properties. " ""01.17.2019 Jaime Marin is an excellent realtor. He is informative, stays in constant communication and stays on top of the entire process from start to finish. I highly recommend Jaime and his services to anyone is buying or selling their home. DianaVela69 10622 Cavelier Pt SA, TX 78254""
"12.11.18. - Mr. Marin is a very respectful, responsible and helpful gentleman. He helped my husband and me buy the house we were already renting. He always answered our requests in a timely manner." "11/13/2018 Exceptional! Jaime is a very a knowledgeable agent and got us top dollar for our home. Whether you are thinking about buying or selling - he’s your man!" "(2 of 2) 10/01/2018 But if you ask him, he'll just say he's just doing his job. :) Added to that, he's just a very nice guy and it was pleasure to work with him!!! If you are in the market to buy or sell a home, YOU MUST use Jaime and his team,- you WILL NOT regret it!! Thank you very much Jaime!!!!!" "10/01/2018 Mr. Jaime Marin was FANTASTIC in helping us not only finding a home for our family, but also in the selling of and existing property as well - he is a 100% professional. Jaime always kept us up to date on everything and gave us plenty of good advise and recommendations through our journey of finding & selling a home. He was always punctual and had plan so as to not waste anyone's time. We had plenty of questions for him during this process and he answered them all. Also, Jaime has a network of professionals for house renovations, upgrades, etc. from flooring, tile, plumbing, general construction, etc. It was easy for me to go with Jaime's recommendations since he only recommends people he trusts and knows will do the job right. My wife and I felt very taken care of from the beginning. It was clear to us that Jaime understands what Customer Service means and we feel he went above and beyond to make us happy. (1 of 2)"
"09/27/2018 Jaime is a very patient and really tends to find the perfect house based on the families request. He found us a house in our price range and with all the commodities that we requested!!! Thanks for your open schedule and quick responses. I highly recommend Jaime as your realtor." "09/19/2018 Jaime is on top of things, easy to get hold of him. Helped me with getting the house for the right price. Because of Jaime my house buying experience was very smooth and easy." "08/28/2018 Jaime was awesome in helping find and sell our home. He was very helpful patient always willing to help. Made sure we found the home that best fit our family needs. We appreciate everything he did keeping us updated and walking us thru the entire process!!!" "06/13/2018 Excelente trabajo y rápida respuesta a mis llamadas y al momento de tener una duda siempre supo como contestar nuestras preguntas. No ocupamos de conocerlo en persona hasta el día del cierre de contrato por que siempre hizo su trabajo efectivamente"
"06/04/2018 Jaime helped my husband and I purchase our first home together in 2012. He was very helpful and got to know what we were looking for. In 2016 we decided to sell our house and purchase a larger home. Jaime helped us sell our home quickly and found us a perfect new home. We absolutely recommend Jaime and we will reach out to him again for any future home purchase." "04/05/2018 Jaime was awesome. Always on time and got my paper work done asap! Made buying a home easy. It's nice working with someone who understands your needs, gives you good advice, and knows SATX !" "10/04/2017 Reviewed Team Member Debbie Lopez - I enjoyed looking at homes with Debbie and figuring out what was best for my situation and my future. She helped me secure the home I wanted for my family and addressed any issues I had." "09/28/2017 Reviewed Team Member Debbie Lopez - Debbie and the Marin team made the home buying process simple and easy to understand, she was there to answer all my questions and took her time to hear all my needs and wants. Very professional and caring." "09/15/2017 Jaime Marín was very knowledgeable and committed to giving us the best service. We are very glad to have chosen him as our Realtor. We highly recommend him to anyone needing to buy or sell property." "09/11/2017 Jaime Marin is an excellent agent, very knowledgeable on the housing market and every aspect to home buying and selling. Jaime was always available to answer questions and provide updates on the progress on the house. He always returned phone calls or response to emails in a timely manner. I would highly recommend Jaime as an agent to anyone in need of a Realty Agent." "07/04/2017 Jaime was a true professional. Answered every question. Made us feel important. Always kept us informed about certain situations. Was spot on on numbers. I can see why he's the best in the business. Thank you so much Jaime." "07/03/2017 Jaime is amazing! He answered all of our questions. Whenever we reached out to him, whether by phone or text, his response time was awesome. Everything he told us to expect from beginning to end was spot on. Jaime made selling our home an easy and delightful experience." "06/26/2017 Jaime provides every single thing you would expect from a good service experience. From his total investment in property search and research, all the way to document followup, negotiation and closing. ...he will even go the extra whenever the opportunity presents. I have done business with him several times, and every time, my expectations have been surpassed. We fully recommend him. " "05/25/2017 Jaime made my first home purchase easy and simple to understand. He made sure I was aware of everything and answered all of my questions. He was awesome !" "05/22/2017 Jaime is a pro! He knows his stuff and goes the extra mile to get things done. He spends time with his clients and was very effective at looking out for our best interests. Thanks again Jaime." "05/15/2017 Reviewed Team Member Tarcy Gonzalez - Me encantó que siempre estaba muy atenta y disponible para mostrarme las casas, me dio una atencion muy amigable y muy buen trato, la recomiendo al 100%! Muchas gracias"
"05/13/2017 Reviewed Team Member Tarcy Gonzalez - Tarcy was very helpful and honest. She made it very easy to find us a home on our current budget.She also explained to us step by step the process we needed to take. Very professional." "05/09/2017 Reviewed Team Member Adriana Fernandez - Working with Adriana exceeded any of my expectations. As first-time buyers, I was thoroughly lost and scared concurrently. Right away, she jumped into action and sat down with my husband and me to determine what would fit our little family. Adriana was very attentive and always had time to answer any questions I had. Because my husband works a great deal he couldn’t be with us to see some of the homes she went out of her way to show my husband when he was available. Furthermore, she was very patient with me and my craziness and verbalized every component of the home buying process. I’ll be recommending her to all my friends and family. " 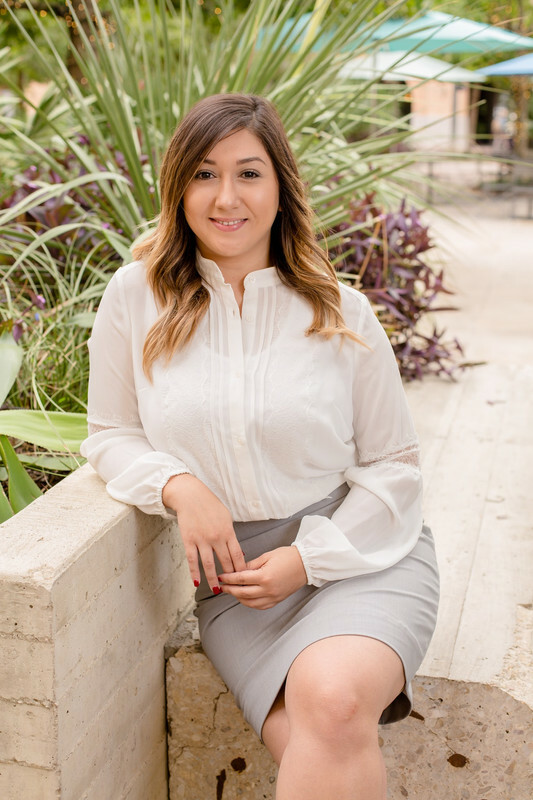 "05/01/2017 Reviewed Team Member Adriana Fernandez - She is great was very helpful with the whole process of buying a home since I was a new home owner. If I had any questions or concerns she would reply back promptly with a response." "04/29/2017 Reviewed Team Member Adriana Fernandez - Adriana helped us purchase our first home. She was very knowledgeable and walked us through the entire process. She was always available and never made us feel like a burden even though we looked at about 20 homes before we found ours. I would highly recommend Adriana to anyone looking to purchase a new home." "(2 of 2) 04/27/2017 Reviewed Team Member Adriana Fernandez - Adriana is incredibly knowledgeable about San Antonio, the Real Estate market, as well as the school systems. What we loved most about her was her ability to find our family the specific type of home in the location we most desired with respect to the school system for our teenagers. Do not look any further. If you need an agent, she is it! Take that from a family who moved here from New York, with children, pets, family members – And all to be completed within a certain time-frame. She pulled it off amazingly well. We are forever grateful and you will not be disappointed!" "04/27/2017 Reviewed Team Member Adriana Fernandez -We highly recommend Adriana Fernandez who was instrumental in helping us find our New home in San Antonio, Texas. My husband was retiring from the military and as a result, we flew down from New York to view houses. Our time was limited because we still had children in school but wanted to secure a house during the winter break. Based on our requirements, Adriana prioritized a list of over 20 houses to view for our short two-day visit. Within a week of arriving back to New York we had decided on a home, which just happened to be the first one we viewed. Her diligence and professionalism were key in finding the most perfect home for our family. Adriana was there from the beginning to the end. She helped us navigate the entire closing process and continued to provide assistance to help our family become acclimated to San Antonio. (1 of 2)"
"04/27/2017 Reviewed Team Member Adriana Fernandez - She is very professional and knowledgeable. She helped us find the house we were looking for. We would hirer her again and also recommend her to family and friends." "04/27/2017 Reviewed Team Member Adriana Fernandez - Adriana was very patient in finding me a house that met my wants and needs. She was flexible with my schedule to show me houses. She replied quickly to my question in a timely manner. She was knowedable of the neighborhoods and schools. I appreciate her honesty." "04/26/2017 Reviewed Team Member Adriana Fernandez - Very professional, honest, and knowledgeable able home buying process and also knowledgeable in local statistics and home prices. Excellent attitude, takes time to help customers out no matter the situation." "04/26/2017 Reviewed Team Member Adriana Fernandez - I was in the market for renting a house and Adriana was recommended to through a Facebook post. My expectations of the house were along the lines of what most people want when they buy a house. With that said, Adriana came through with flying colors and even exceeded my goals. She is beyond great at her job and I can't praise her dedication to helping her clients enough." "04/26/2017 Reviewed Team Member Adriana Fernandez - Mrs. Fernandez was such a joy to work with. She really listened to what we wanted in a home and truly delivered us with many options that exceeded our expectations. She was constantly available anytime I had a question or just needed to bounce something off of her during the process! I recommended her to all my family & friends that are looking for a home! If we ever have to move again she is definitely my go to!!!" "04/24/2017 Best realtor I've ever had, he was so patient and answered any little questions we had. He always made time to accommodate us. Truly a professional that was able to handle different resources for our convenience. I would recommend him to my loved ones." "Paul & Rebecca reviewed Jaime Marin 03/29/2014 Jaime is knowledgeable and extremely helpful. He made our first time selling experience easy and understandable. Jaime truly cares about his clients like family." "Thingstosale reviewed Jaime Marin 03/27/2014 Excellent professional. Not only helped us to buy but also then to sell." "Miguel Salazar reviewed Jaime Marin 01/05/2016 Wonderful experience working with Mr. Marin, his knowledge and experience was very helpful. I was very satisfied with the process in selling the house." "Kim Bowen reviewed Jaime Marin 01/21/2016 I had a great experience with Mr. Marin. I live out of town so most of our dealings were over the phone or by email. Mr. Marin was very professional but also came across as very friendly and understanding. I was very pleased with the process and end results. My property sold in a timely manner with little hassle or inconvenience." "Jewell Xiong reviewed Jaime Marin 07/26/2016 Jaime was very helpful throughout our home selling process. I was out of the country therefore my wife dealt with everything and Jaime made it very easy for her with me not being there. 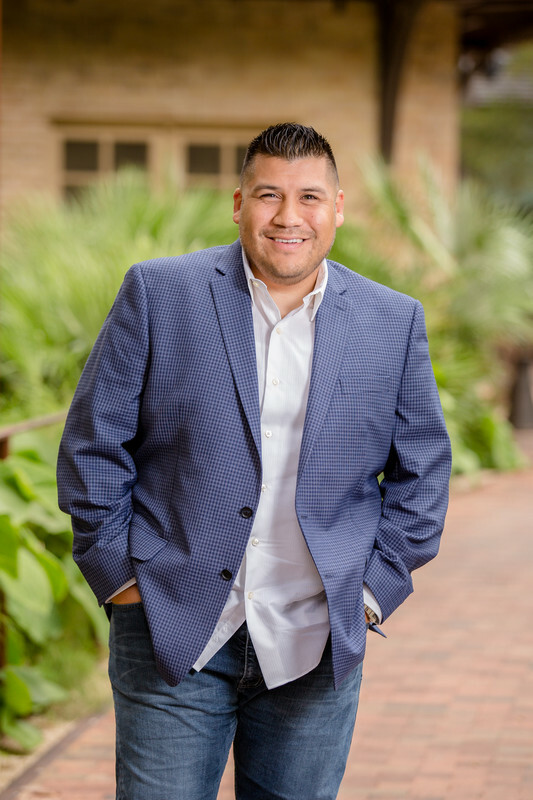 I definitely recommend Mr. Jaime for those who are in need of selling or buying homes." "Joh Litrio reviewed Jaime Marin 07/26/2016 This sale was extremely well-handled from start to finish. I couldn't have asked for a more professional, knowledgeable or responsive representative. I highly recommend him"
"Noelle Owen reviewed Jaime Marin 09/26/2016 Jaime is an excellent realtor. He is knowledgeable and is always looking out for his clients. We ran into some issues with the buyer, but Jaime handled everything. Highly recommended!!!" "Michael Pease reviewed Jaime Marin 11/18/2016 Very helpfull throughout the entire selling expierience. Always available, his time was very appreciative. Would recommend him to anyone. He continues to send us several properties as we continue to look for our next house." "Janie Sarabia reviewed Jaime Marin 03/21/2017 Working with Jaime was a great experience. He was always available to answer our questions and concerns. We will definitely use his services again and recommend his services to our friends and family. I also had to mention Adrianna our realtor. She was fabulous! She always made herself available to us and worked around our busy schedules. She was so patient and very knowledgeable. She came to us to facilitate the loan process and always promptly answered our calls or texts." "Estela Portales reviewed Jaime Marin 10/26/2015 We really appreciate all the hard work and long hours that were put in to help us get the house we wanted. You and your team did an excellent job in the way everything was handled. I would highly recommend your team to anyone who is in the market if buying a new house. Your team, not only went the extra mile, they carried us thru the whole process. Thank You Mr & Mrs. Portales"
"Danny Mendez reviewed Jaime Marin 10/06/2015 Great and professional guy. Made thing easy, never have to worry about anything related to the process, since he always was explaining what the next step going to be. Thank you Jaime"
"Katherine Kimm reviewed Jaime Marin 08/04/2015 Jaime is a trust worthy and diligent real estate agent. I never met a real estate agent who works so hard. I highly recommend him for all your real estate related matters." "Fernando Avila reviewed Jaime Marin 07/13/2015 Jaime, is a great agent, very professional and he knows a lot about the selling process and maintenance of a house, he has great negotiation skills. Excellent person to have on your side!" "Xergiox77 reviewed Jaime Marin 06/08/2015 Jaime was very helpful throughout the process, even though there were some issues on the buyer's side that required more of his involvement than on an average sale. He was always available and friendly and I will certainly recommend him. popswilson39/tonyawilson36 reviewed Jaime Marin 04/06/2015 Jaime was amazing. He treated us as if we were family and made us feel so comfortable through the process. This is our third home buying experience and was definitely the best. We strongly recommend him." "Blueknight887 reviewed Jaime Marin 02/27/2015 Jaime was an UNBELIEVABLE help to the entire process for us first time home sellers. My wife Melanie and I could not have been happier with his attention to detail and his overall knowledge of the real estate business. At no time did we feel as if we were being treated unfairly or being kept out of the loop during the process. I would definitely recommend Jaime as an agent to any family member and friend. And as it turns out, Jaime did so well for us we are now having him assist us with our brand new home purchase! Thanks Jaime for everything. Ben and Melanie Flores"
"debisilvey reviewed Jaime Marin 02/18/2015 Jaime was great! I would recommend him and use him again. He always answered calls promptly and helped with any problem that came up. Thanks so much Jaime!"